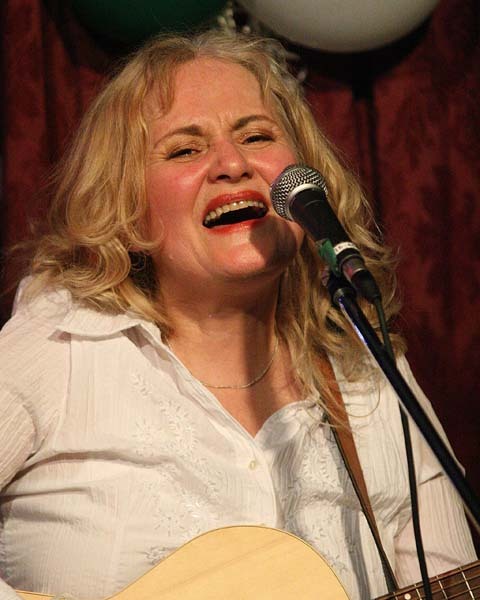 Debbie Fleming has been writing songs since she was 16. She has released 3 recordings, all containing mostly her songs. She has written and arranged songs for Hampton Avenue, ChoirGirlz, The Satin Dolls, Elaine Overholt and many more artists. She sings and writes in all genres - from Rock 'n' Roll to Classical, R&B,Jazz, Country, Folk and pop. Some of her songs are being sung by choirs all over the planet. Debbie had a very successful career as a session singer - performing on TV shows; jingles and backing up artists such as Petula Clark, Anne Murray, David Clayton Thomas and many more. She is semi-retired now - but still performs her own shows, sings in the Toronto Mendelssohn Choir, and does a lot of vocal and instrumental arrangements for groups such as The Ault Sisters. She plays ukulele and guitar, and is getting more and more into self-accompaniment, so she can share her original songs with the world, and not go into the financial hole doing it.